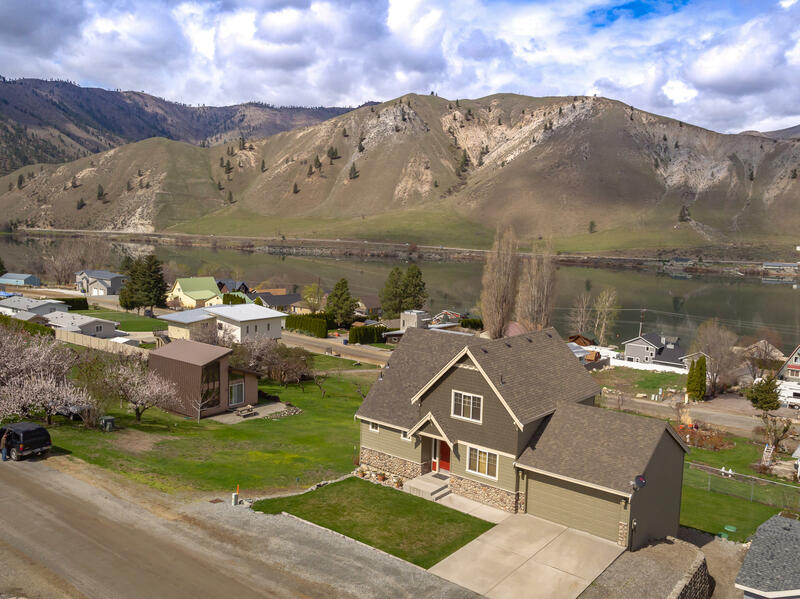 Bauer's Landing beauty with stunning river and mountain views. Exquisite finishes within including ceramic tile flooring throughout living room and kitchen. Open living room with vaulted ceilings and bonus loft area, perfect for home office or cozy reading nook. Kitchen has beautiful custom Cherry cabinetry contrasting nicely with stainless steel appliances. Back deck flows right off of living room with dreamy views; ideal for summer barbecues. Master with attached bath on main level with soaking tub and fiberglass shower. Big backyard with shed for storage, and lower patio off of daylight basement. Community access to boat launch and dock. Great separation of space, and ready for you to make it your full time residence or quintessential vacation home.